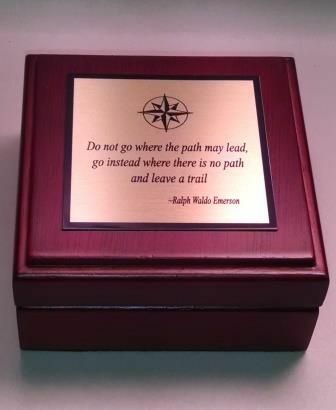 A compact desk compass with custom engraved plate in a nicely finished, hinged wooden box. 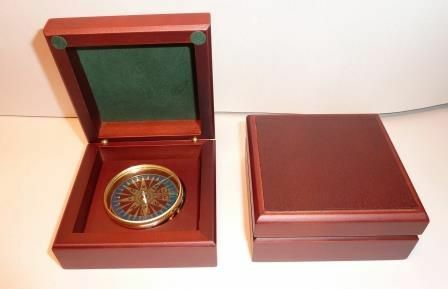 This compact desk compass will make a terrific gift - for those friends and loved ones you would never want to see get lost! Do not go where the path may lead, go where there is not path and leave a trail.